Hall of the Mountain King: Review: Van Halen, "A Different Kind of Truth"
Note: This review originally appeared at Something Else Reviews. When you're finished here, head over there for a couple of other takes on this one. I stand corrected – and pleasantly surprised, too. 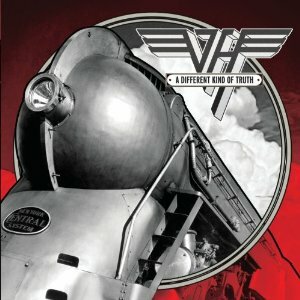 When I went into my first listen of Van Halen’s A Different Kind of Truth, I was expecting a steaming pile of mediocrity. After a few spins, I think the team in charge of promoting the record has done a big disservice to it in the clips that they’ve allowed to dribble out to the public. Those clips, with the exception of “The Trouble with Never,” which I’ll get to in a minute, have largely been forgettable and often not even the best parts of the songs. Take “Stay Frosty,” for example. The clip out there makes it sound like a weak attempt to recreate “Ice Cream Man.” It is, of course, an attempt to recreate that song, but by the time you get to the turbo-charged hard rock section later in the tune, you don’t really care. It’s great stuff, and it’s what Van Halen should sound like. Then there’s the lead single “Tattoo.” Granted, the song is a bit of an earworm after a few listens, but it hardly represents what this record is about. It’s not the kind of track that makes you want to run right out and get the record when it hits shelves on Tuesday. Which brings me back to “The Trouble with Never.” It seems like the obvious track to launch this record. It shows in its opening moments what just about every fan of early Van Halen wants to know – that the band is back and rejuvenated. It opens with this funky, rocking guitar riff that leads into David Lee Roth’s inimitable, over-the-top delivery. It has swagger. It has attitude. It’s an announcement that this is more than a cash-in on Roth being back in the band. There’s real energy here that I haven’t heard in Van Halen in a while. Eddie Van Halen’s licks on this record have more personality than they’ve had since probably Fair Warning. Look no farther than the opening of “Beats Working” to hear it. There’s some soulfulness in “Big River,” and “She’s the Woman” feels like something that would have been at home on their first record. There is, of course, a good reason for that. 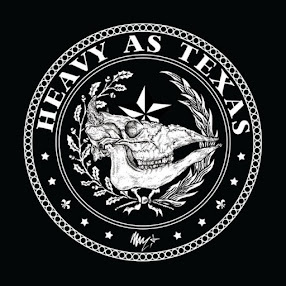 Much has been made of the fact that the band dug back into its archives to resurrect some old tunes and redo them for A Different Kind of Truth. So what? When “As Is” or “The Trouble With Never” comes blasting out of my speakers, I couldn’t care less if they were written yesterday or in 1976. I’m just glad to be hearing them, glad to have a Van Halen record that I can crank up to start the party again. As I listen to the record, I keep coming back to one word – swagger. That could be a complete review of this album in itself. It’s something that the best work from Van Halen has always had, and something that, for me, was often missing in the post-DLR version of the band. Regardless of what the actual dynamic in the band is these days – and I have little hope that EVH and DLR can coexist on a permanent basis – A Different Kind of Truth sounds like a band that is reenergized and having a blast. Eddie is shredding away at his best, Alex is laying down some classic Van Halen beats and David Lee Roth is, well, David Lee Roth. He’s zany, over-the-top and sometimes a bit cheesy, but all of those things are what we loved about him in the first place. He’s not and has never been a better singer than Sammy Hagar, but this is rock ’n’ roll. The best singer isn’t always the best guy for the job. As for the new addition to the band, Wolfgang, I think he’s a better player than original bassist Michael Anthony, who wasn’t really known for his chops (see “Runnin’ with the Devil”). But I do agree that this record really misses Anthony’s vocal harmonies, and it just would have been nice to have all four guys back together. That, however, is about the only thing I can find to complain about, and given how good the music is, I’m not likely to complain about it long or often. In the coming weeks, a lot of people will have a lot of things to say about this record, and I’m sure not all of them will be good. I probably won’t hear them, though, because I’ll have A Different Kind of Truth on and my stereo will be cranked up to 11.